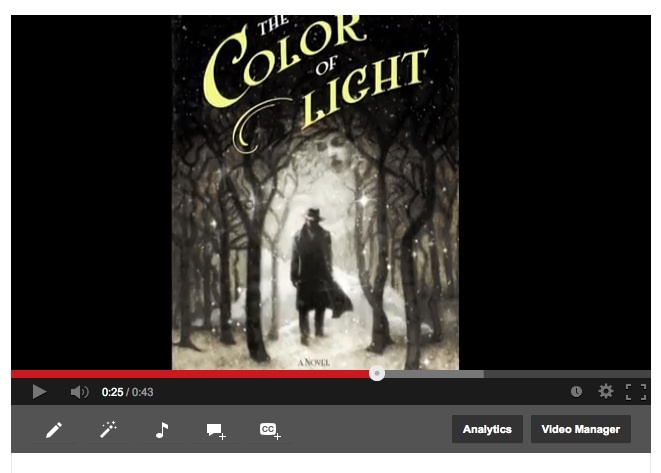 Here it is, the official unofficial video for THE COLOR OF LIGHT! I had lots of fun making this. The best part was layering all the sounds together. You did a great job. It’s spine-tingling! Oh, good! Thank you, Iza! iMovie is really addictive. My 8-year-old showed me how to use it!